Apparently fair-hiring laws may actually hurt young women in the workplace, according to writer and TV pundit Keli Goff. In a moderately-trolling Daily Beast piece, Goff wonders whether anti-discrimination laws have outlived their usefulness in the workplace and advocates for "modernizing" gender discrimination policies. I admit I was highly skeptical going in, but as I read I reconsidered my knee-jerk reaction. While questioning job applicants about potential parenthood seems unsavory, there are ways it could be useful and beneficial. Goff's piece is a response to a recent Pew study on women in the workplace, which found Gen Y women earn 93 percent what male peers do, compared to an average of 84 percent across all age groups. But young women are also (quite rationally) concerned with the impact of children on their careers. This "raises one of the potential problems with current anti-discrimination measures," writes Goff: Employers can't legally ask potential hires any questions related to family plans. And without knowing whether and when young women plan to have children, the default assumption is all women "of childbearing years" are going to get knocked up soon. Consider this: if a Millennial male and Millennial female, both age 31 and both newly married, apply for a job that requires extensive travel in the first year, at the moment an employer is unlikely to ask during the interview, “What is your family life like?” for fear of being sued. Instead, it is possible he or she will simply go with the employee he knows will not be getting pregnant in the next year—or ever, which would be the male employee. 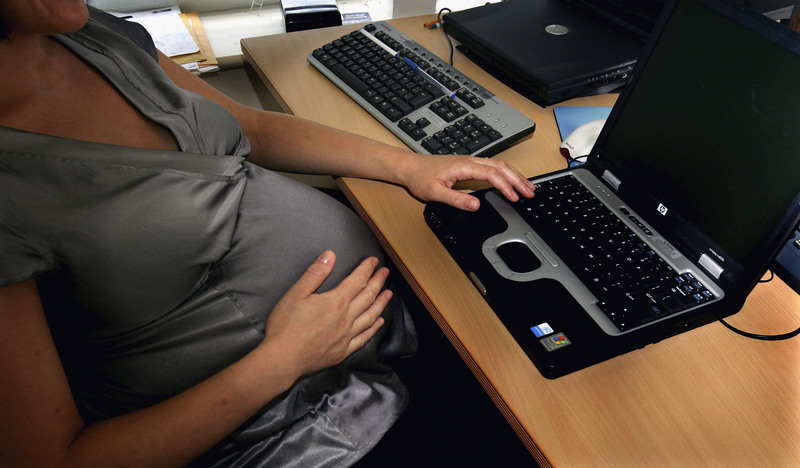 But what if the female employee has no plans to have children in the coming year, or ever? Or what if she is planning to adopt but her husband will be a stay-at-home dad? Shouldn’t she get a chance to discuss her own plans and expectations with an employer? What benefit is there to either the employer or the employee in not doing so? That sounds reasonable. But it would also put job applicants in the position of having to discuss incredibly personal things with strangers (who could become colleagues). It could lead to further discrimination against women who do plan to have children, even if not for many years. And what about the woman who's not planning on kids but gets pregnant unexpectedly — will the employer see it as a betrayal? If an employee does decide to start a family, at what point do they have to let their employer in on that decision? Can. Of. Worms. While I'm not sure I believe questions about potential parenthood should be illegal, I wouldn't welcome them becoming standard.